DRF is a member of The Swedish Association of Scientists, Swedish Confederation of Professional Associations and has existed in its present form since 1984. The association has 1250 members, with a minimum of a BSc. Degree, and there are 300 student members. The education of dietitians started in Sweden 1969 and is today found at the universities of Gothenburg, Uppsala and Umeå. 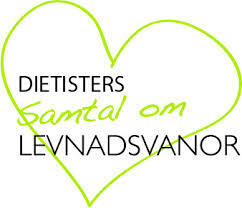 Since 2006 the clinical dietitians in Sweden are registered. The main function of DRF is to protect the professional interests of it’s members and also to ensure high standards in training, in-service training and in research. DRF is also a consultation body to different authorities, trade-unions and different related associations and organisations (such as the Swedish Diabetic association, SWESPEN, EFAD etc.) The committee of DRF consists of seven registered dietitians and one student representative. For further information about our work, take a look at The statutes of the DRF. DRF has a number of local associations. Within DRF there are also reference groups who have the task of producing nutritional treatment guidelines and informational material within specific areas such as geriatrics, renal medicine, diabetes etc. DRF has a scientific group consisting of dietitians with a PhD or MD, and a list of specialists who have received their title by fulfilling these requirements. There is also one group working with ethical questions and the code of ethics for clinical dietitians. Additionally there is another group addressing matters of information technology and documentation, the DRF position statement of NCP and NCPT can be read here. If you are a dietitian educated abroad and interested in working in Sweden, you have to send an application to Socialstyrelsen for a swedish license to practice as a dietitian. Find further information here. Disease. The different organisations where encouraged to cooperate and implement activities together. DRF applied for funds and has since 2013 been working with different project promoting the guidelines and the value of nutrition. Topics for the projects since 2013 has been cancer prevention and nutrition, surgery and nutrition, mental health and nutrition, pregnancy and nutrition, courses on patient centred care for dietitians, developing tools for cooking healthy meals targeting persons with functional disabilities, interprofessional collaboration within the rheumatology clinic and various awareness raising activities. different cities and reached out to a wide audience. In the beginning of the project DRF also translated brochures from WCRF into Swedish and during the project we have been distributing thousands of brochures to dietitians and other health care professionals in hospitals and primary health care. We started cooperation’s with other NGOs to raise their awareness about cancer prevention and nutrition and to influence them to also start working with the topic. Cooperating with patient organisations has been another part of the project, since many patients wants information about cancer and nutrition from the health care system, which basically have told them until now that it doesn’t matter what you eat – you cannot increase or decrease your risk of cancer through nutrition. In our opinion that is not evidence based nor patient oriented work. The patient organisations have also been a big help to us when developing brochures and other information material. During 2018 we are planning to intensify the work targeting health care professionals, NGOs, decisionmakers and politicians to continue to raise awareness and to educate about cancer prevention and nutrition. Other project this year will disseminate knowledge and opinion formation related to health and nutrition and to educate dieticians in how to promote healthful nutrition and eating habits in socially vulnerable groups.